Fast and really crisp printouts are what the HP 6940dt specialises in. In the end your HP 6940dt will run dry of printer ink, and when it finally does happen you'll discover that buying HP 6940dt ink is often quite expensive. Fortunately you don't need to get worried about forking out the steep costs you'll get on the main street because right here at Cartridge Save you can purchase all the HP 6940dt cartridges you will need at really small prices. Start saving money on your ink by ordering online at Cartridge Save! There's little point to spending out so much on the 6940-dt original cartridge or 6940dt compatible ink down the main street when you can save a handful of money buying with Cartridge Save. You can have utter peace of mind when buying DeskJet 6940dt ink cartridges from us seeing as everything is covered by a no quibble money back guarantee. Keep in mind that every purchase has free delivery, normally delivered to your address the very next business day! 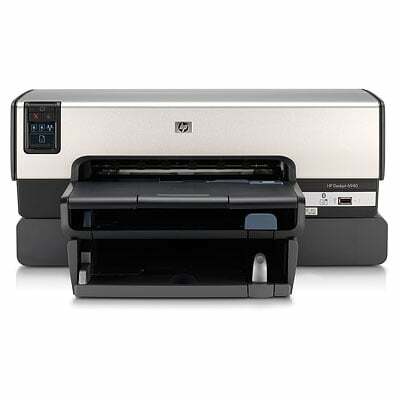 There are plenty of options available on the market these days for anyone seeking an affordable home printer, but you might not be overly familiar with the HP Deskjet 6940dt range at the minute. Put simply, the Deskjet is an often overlooked model and the HP Deskjet 6940dt falls into this category unfortunately. That being said, there are plenty of good reasons to investigate the HP Deskjet 6940dt further. Physically speaking, the HP Deskjet 6940dt is rather novelty looking. This isn't a bad thing per say, but considering that the HP Deskjet 6940dt is a Hewlett-Packard item, you might be surprised to see that there are no curves to speak of, rather that there are bold, stark lines and a retro silver case. The big draw where the HP Deskjet 6940dt is concerned is affordability. It's cheap to run and even cheaper to operate. Printouts are not overly world beating, but they are solid and effective and a student, for example, could get plenty out of an HP Deskjet 6940dt. In essence, the Deskjet 6940dt does exactly what it says on the tin. This is not a printer which will change your life as it offers a fairly basic set of functions. But that being said, it is a highly practical item and one which deserves consideration. Overall, the HP Deskjet 6940dt is simple and inoffensive.